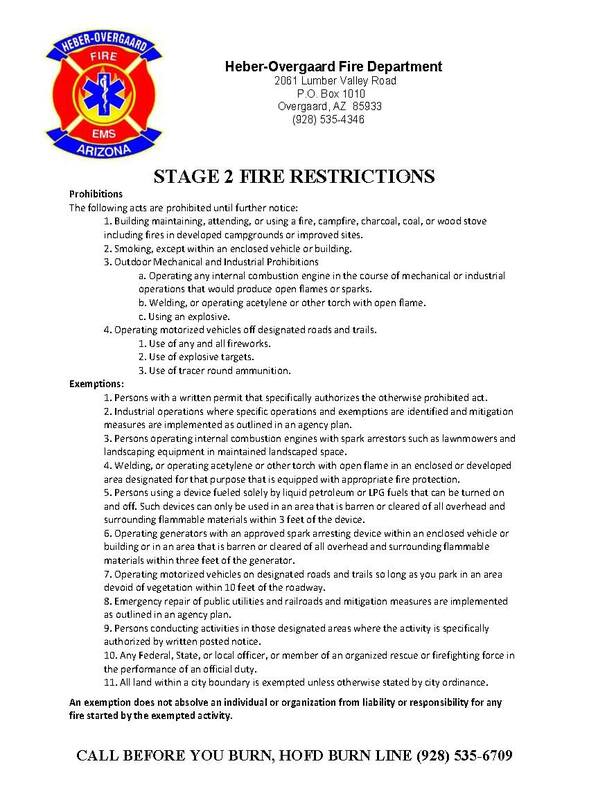 Thank you to the Heber-Overgaard Fire Department for making us aware of the Stage 2 Fire Restriction that will go into affect on Friday, May 4th,2018. Please find all the details on the restriction below. Should you have any questions, feel free to reach out to the Heber-Overgaard Fire Department Burn Line at 928-535-6709.